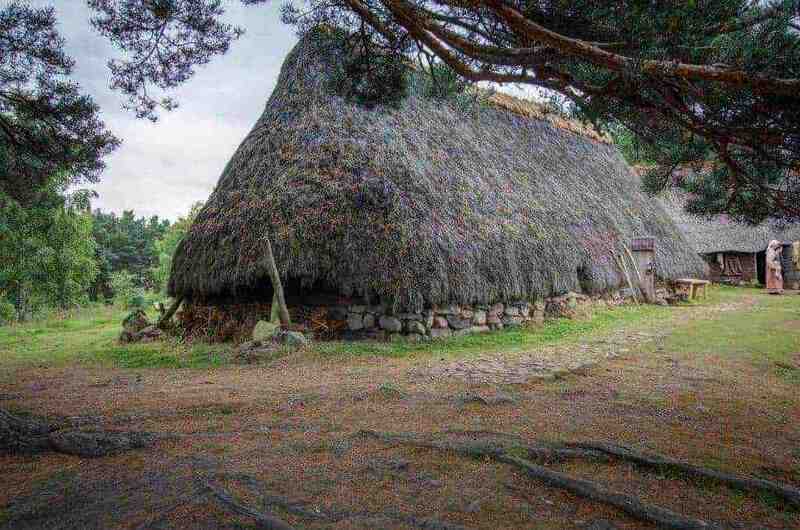 Enjoy pictures of our Outlander Tour, covering Outlander book, filming and historic locations around Scotland. 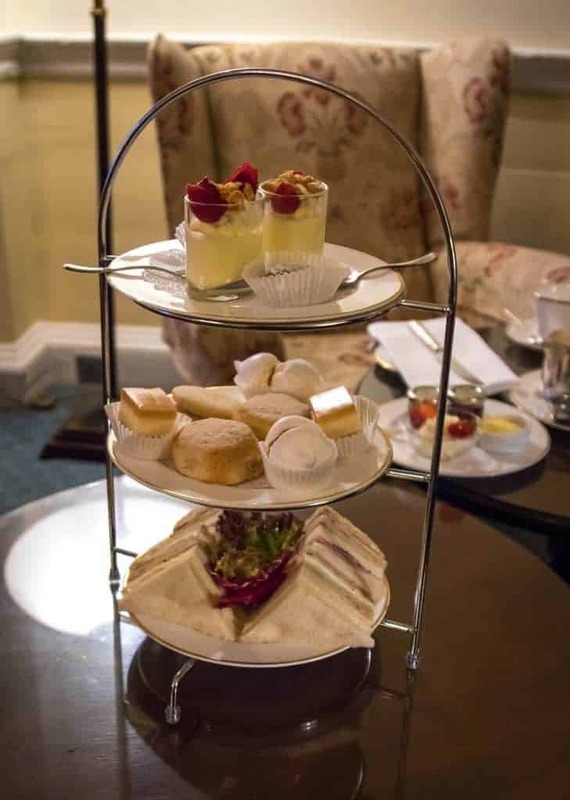 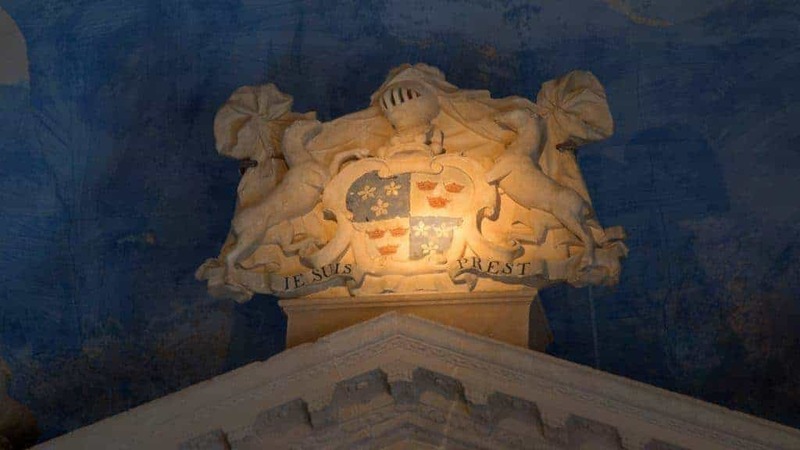 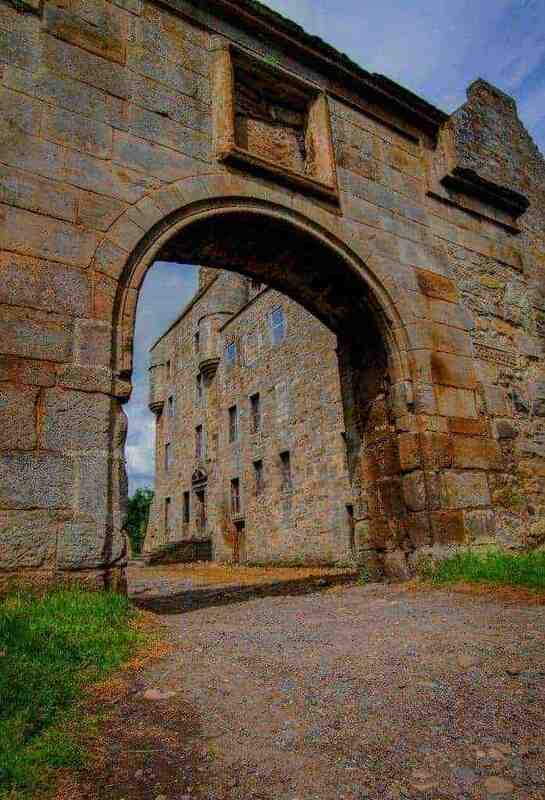 All photos have been taken by Andrew Nicholson, who will also be taking your tour photos. 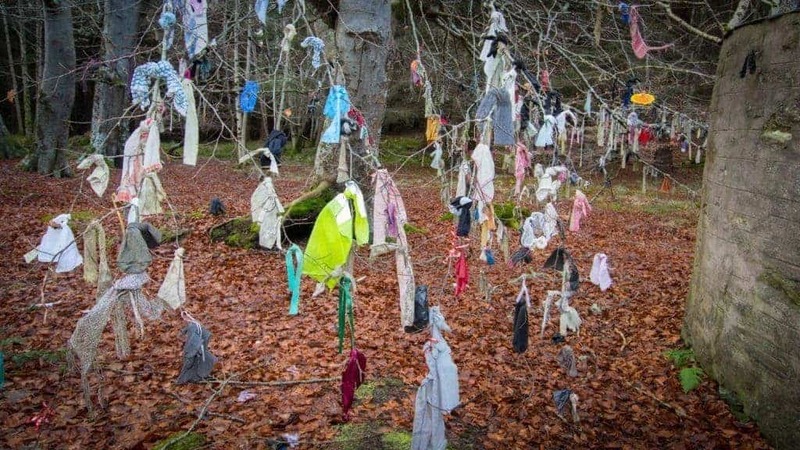 Photo below: Culloden Woods near the Clootie Well. 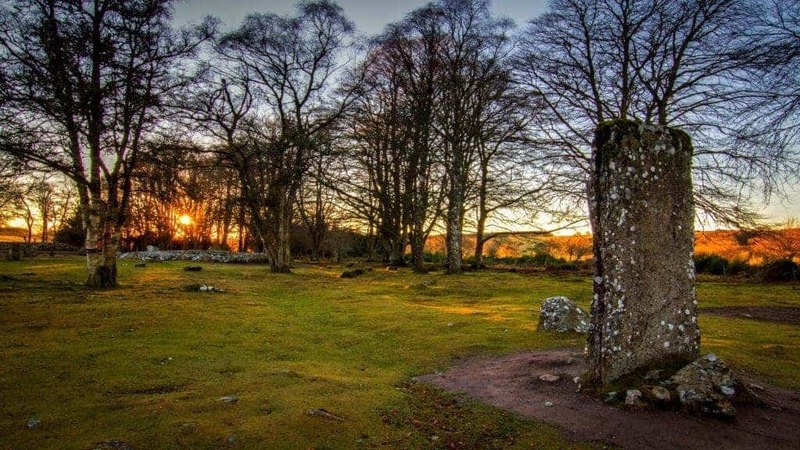 Photo below: Clava Cairns, the ancient Standing Stones and Burial Ground. 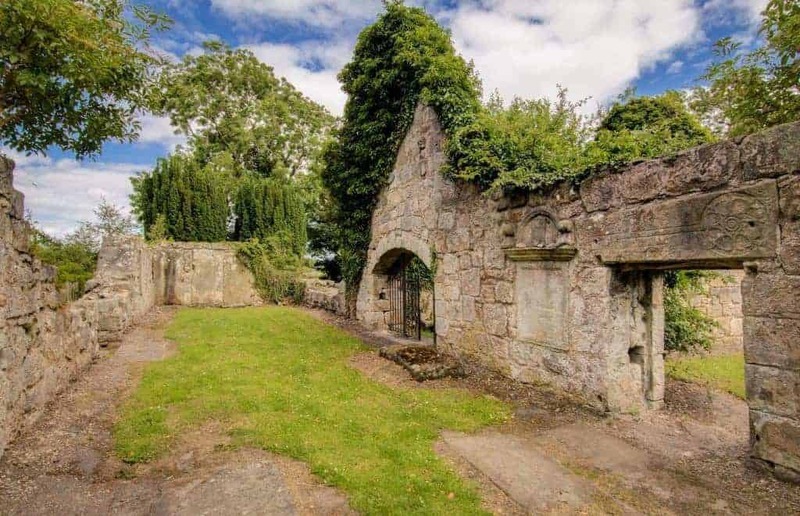 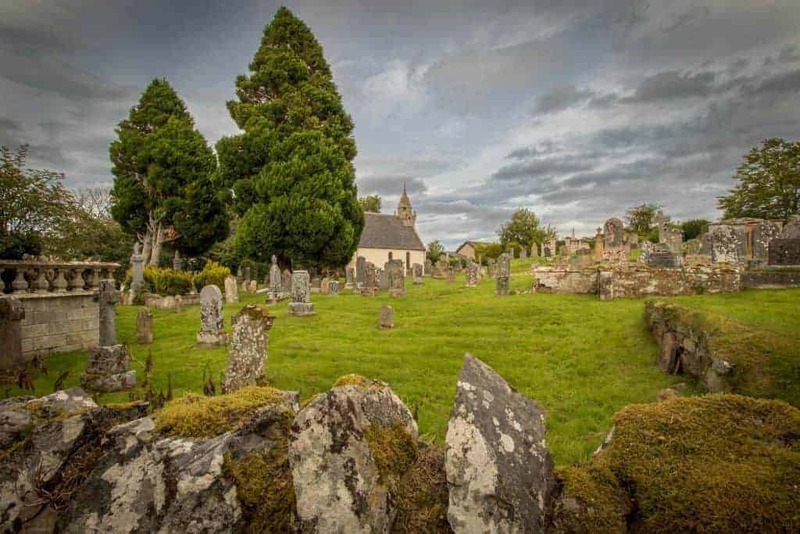 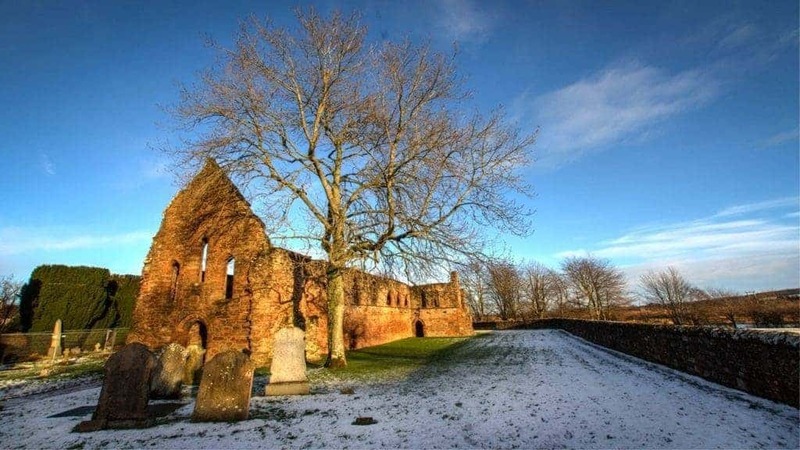 Photo below: The Black Kirk, where Claire and Jamie discover what poisoned the wee lad. 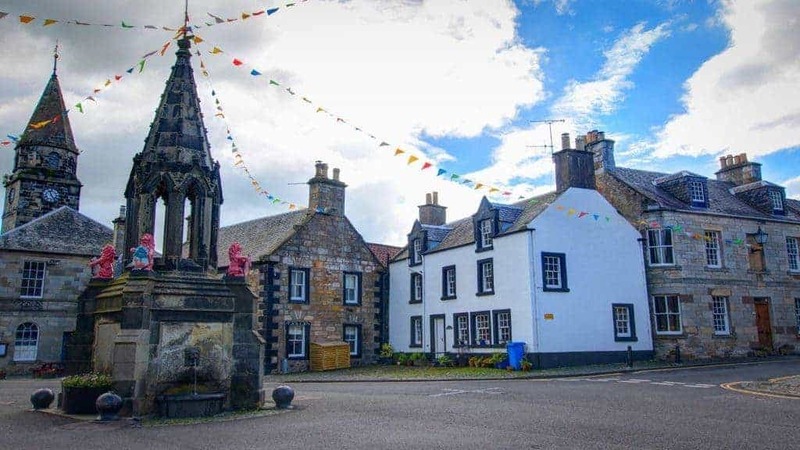 Photo below: The Outlander Tour visits the square in Cranesmuir. 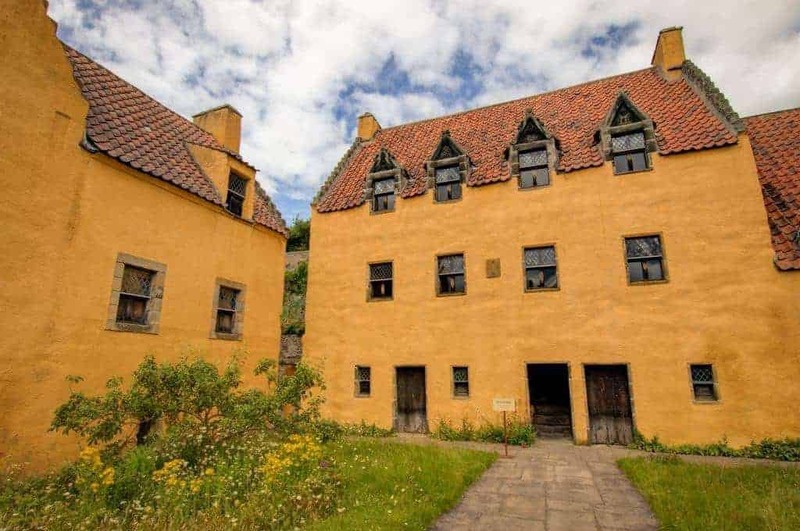 Photo below: Geillis Duncan’s house in Cranesmuir. 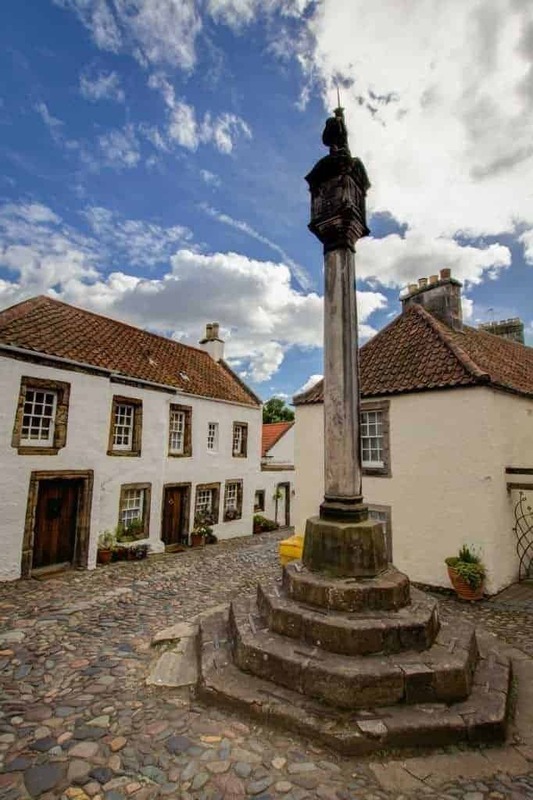 Photo below: The Fountain outside Mrs Baird’s Guest House. 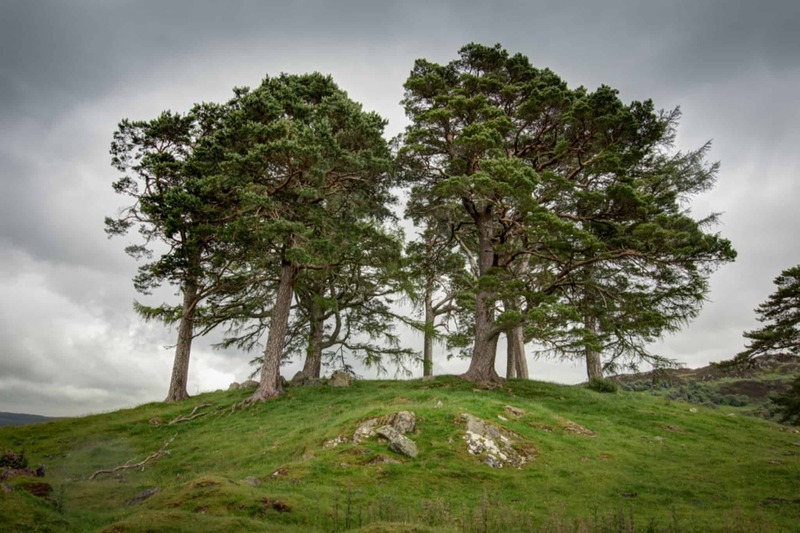 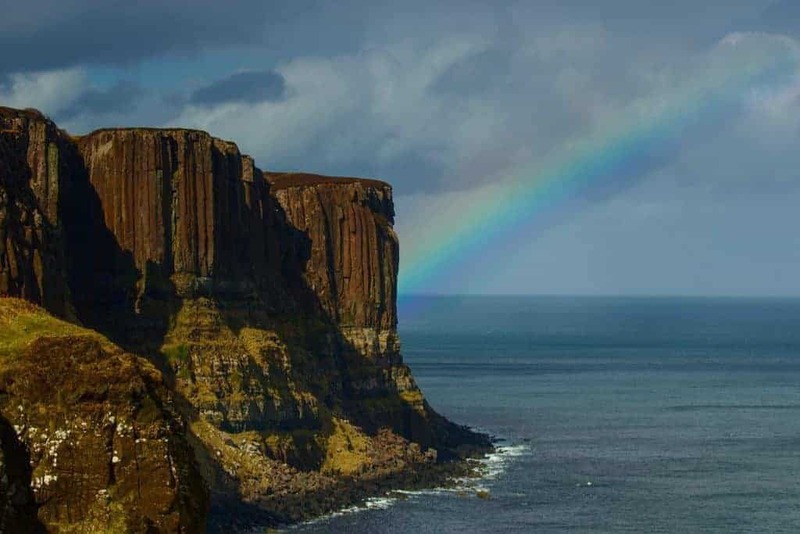 Photo below: Craigh na Dun. 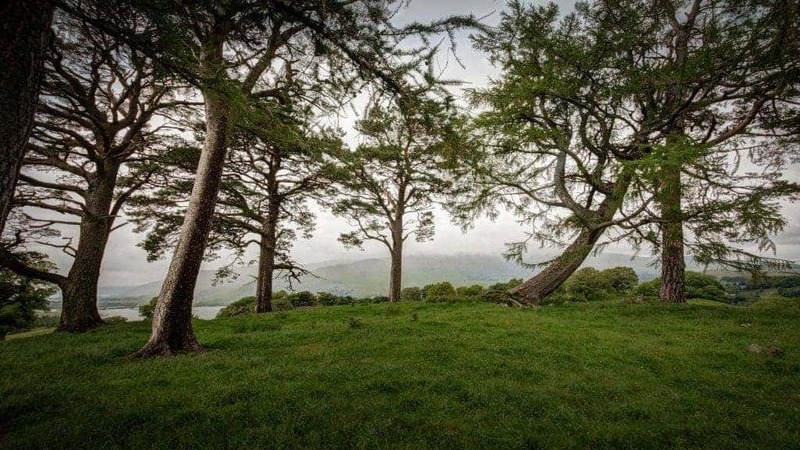 Photo below: Standing within Craigh na Dun. 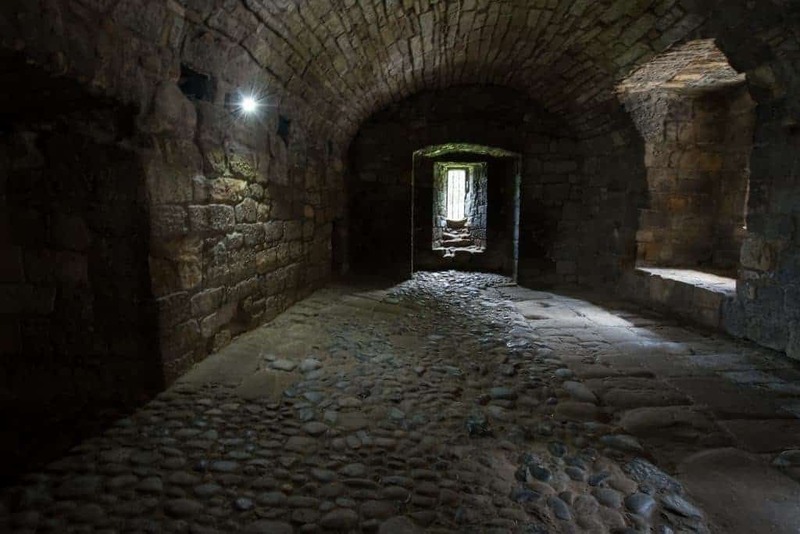 Photo below: The prison cell at Wentworth Prison. 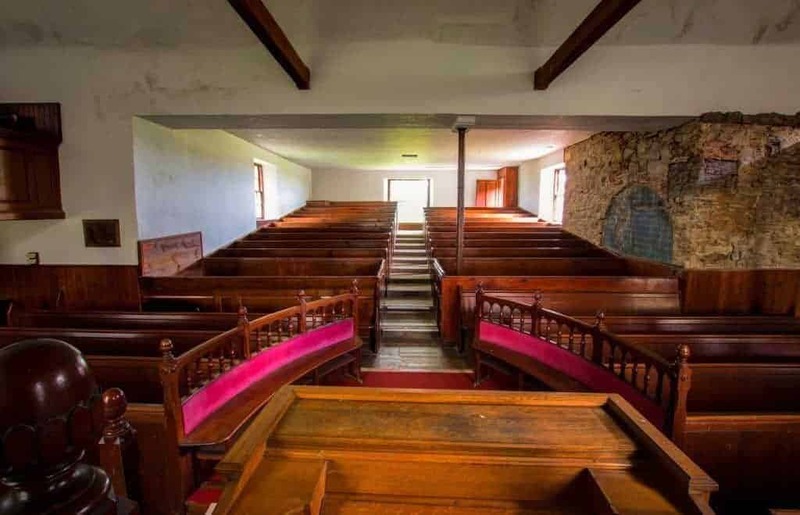 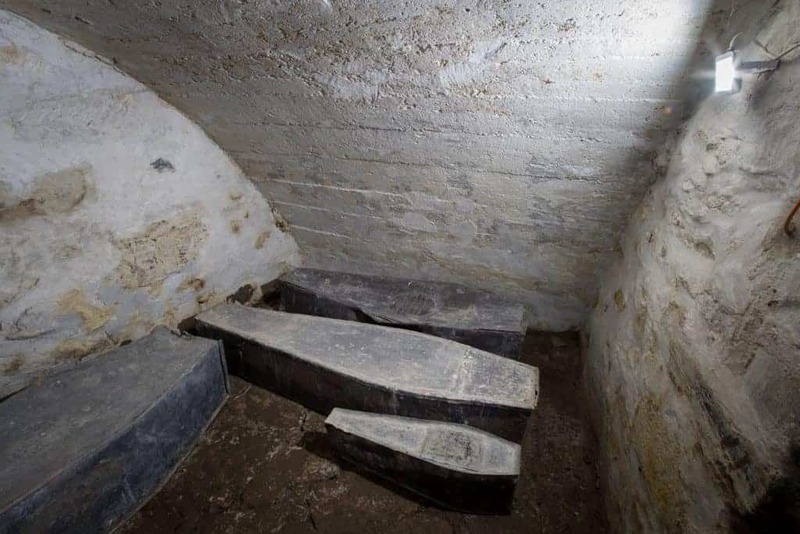 Photo below: Stand in the dock where Claire and Geillis were on trial for witchcraft. 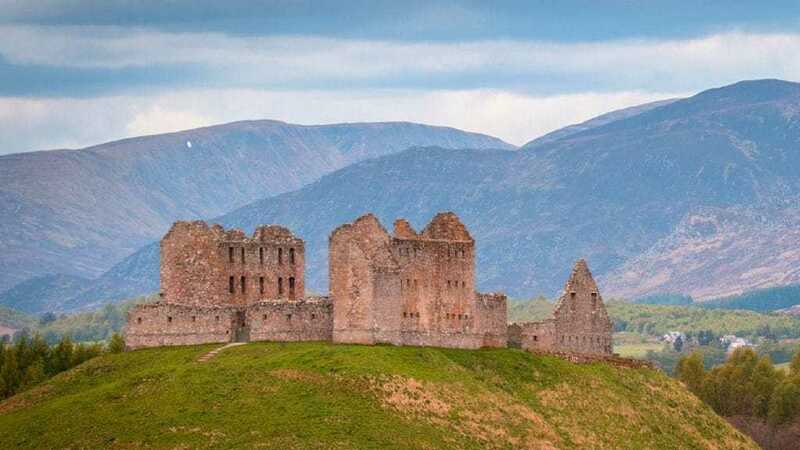 Photo Below: Ruthven Barracks, where 3000 Jacobites retreated directly after the Battle of Culloden. 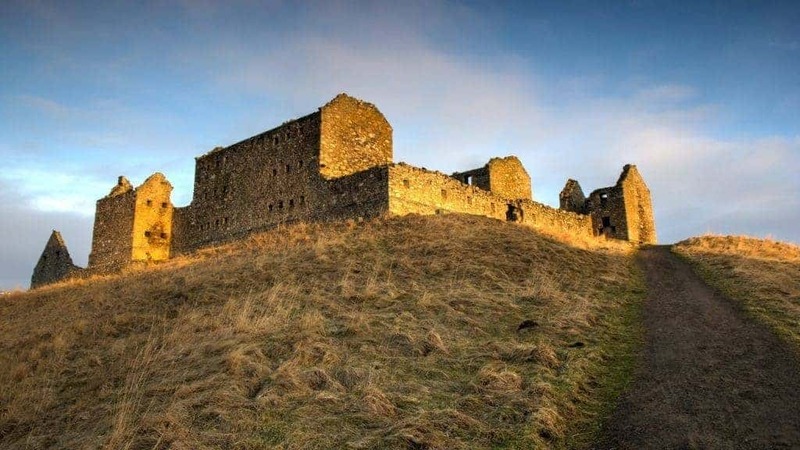 Photo below: Another of Ruthven Barracks, this time looking up at sunset. 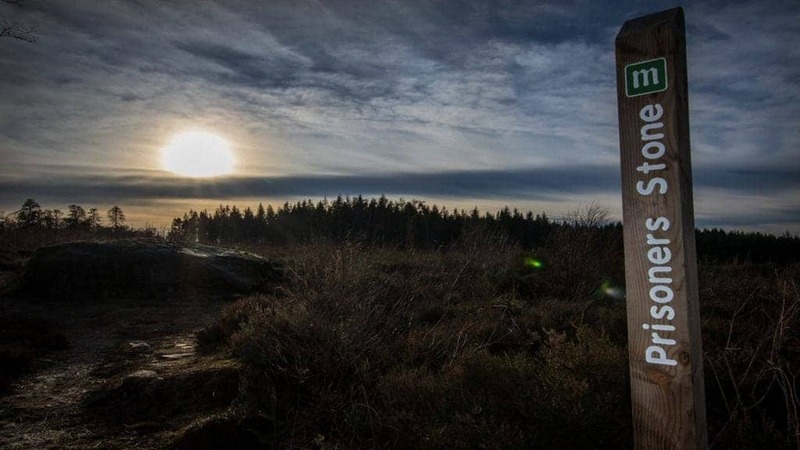 Photo below: The Prisoner’s Stone, Culloden Trail, where 17 Jacobites lost their lives after the Battle of Culloden. 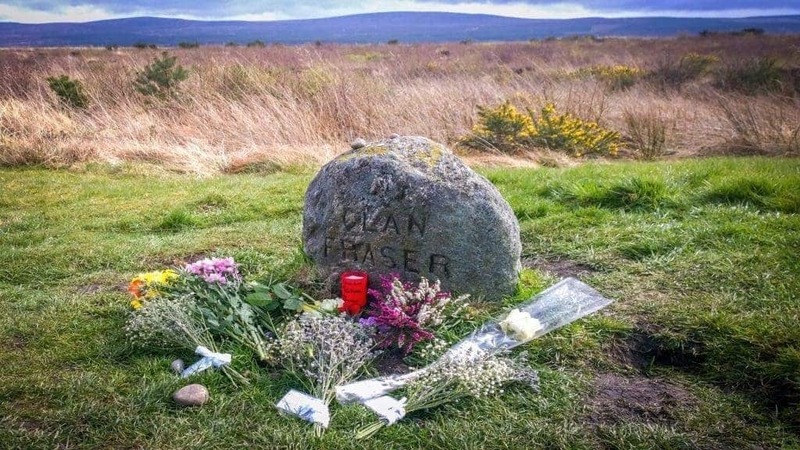 One man called Fraser is reputed to have escaped. 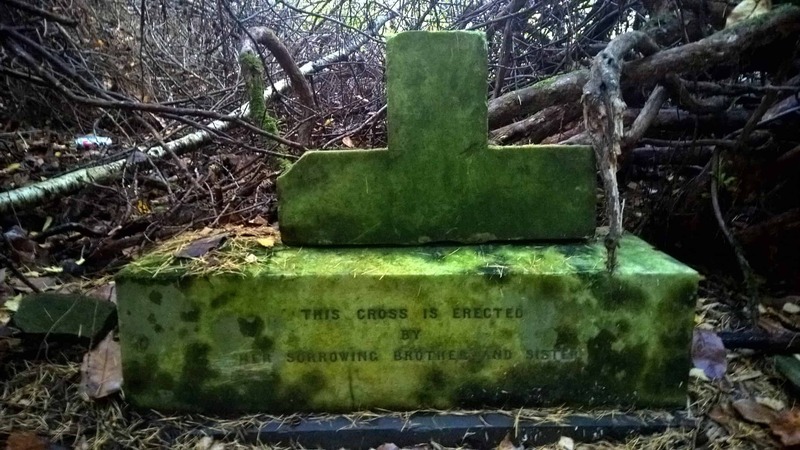 See the green orbs? 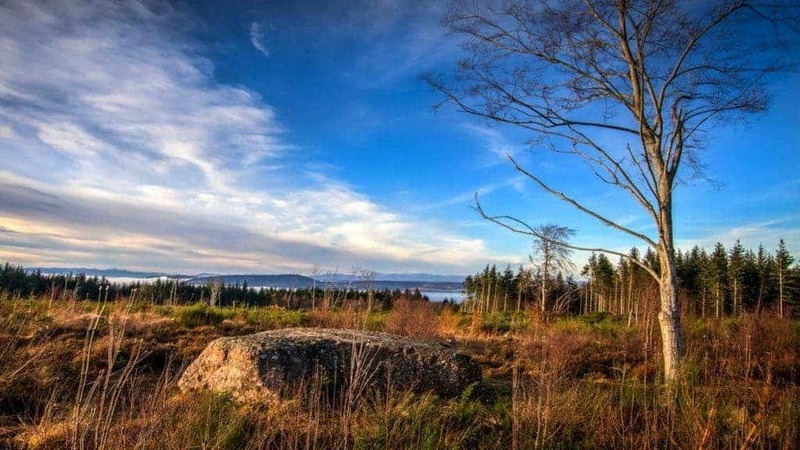 Photo below: Another view from the Prisoner’s Stone, this time over the Moray Firth and Black Isle. 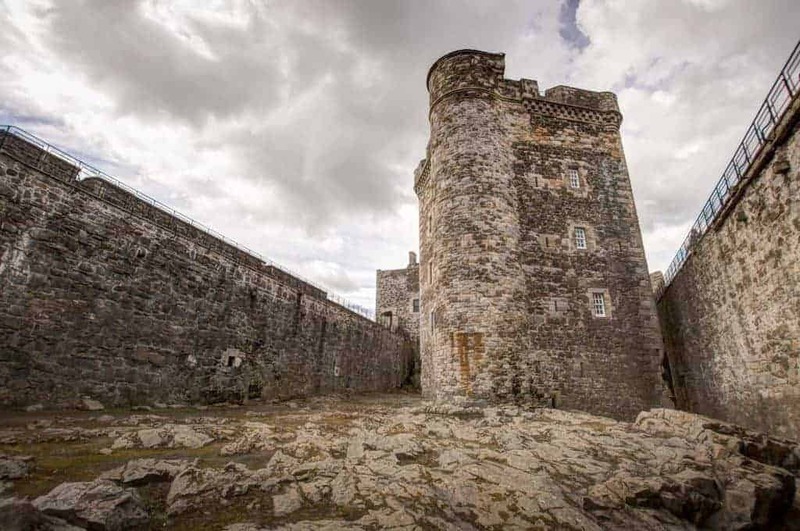 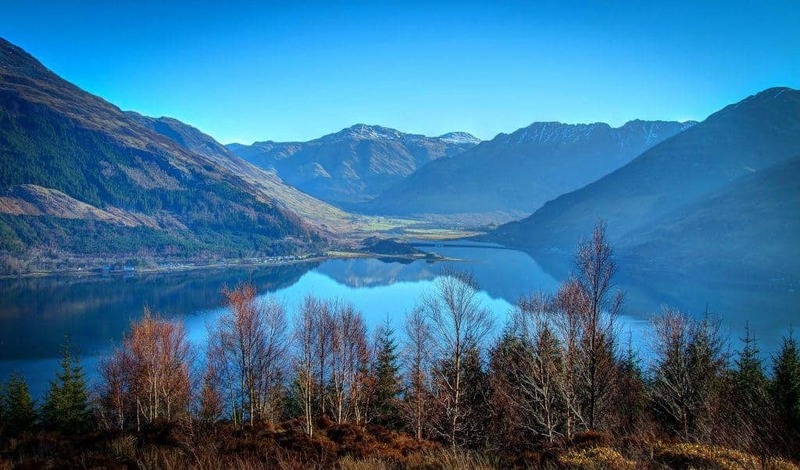 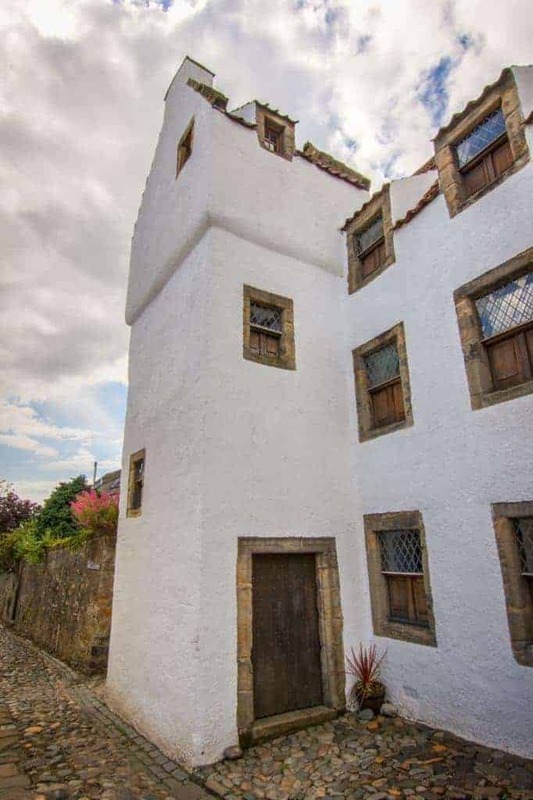 Photo below: Jack Randall’s Fort William HQ where Jamie was flogged. 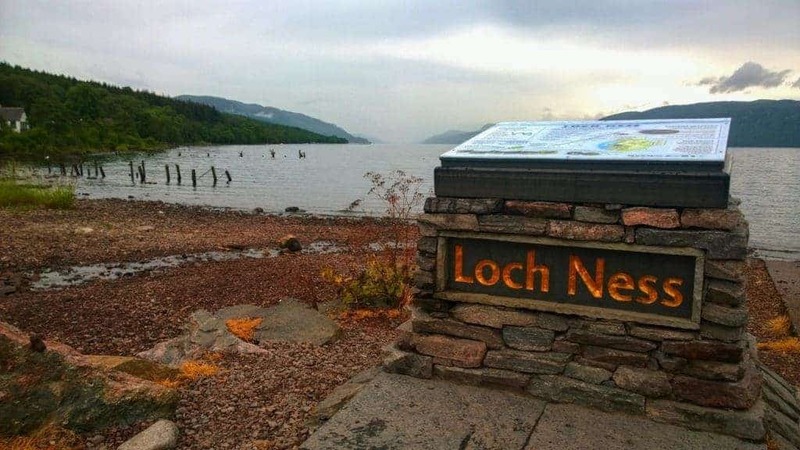 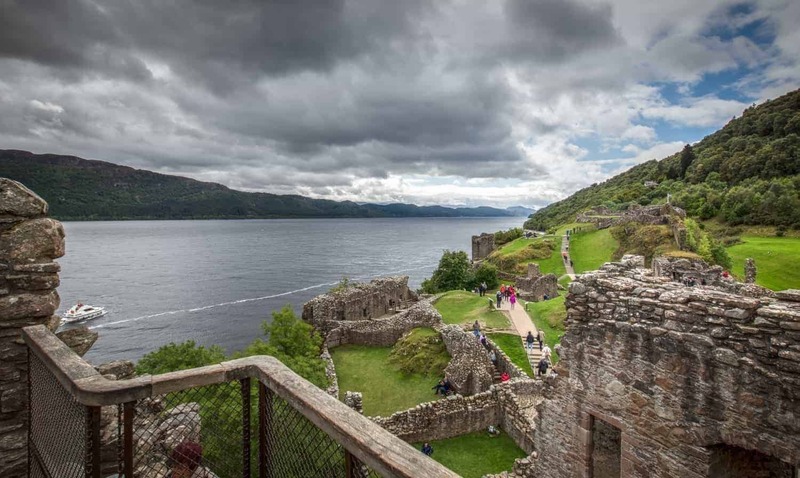 Photo below: Loch Ness at one of the most beautiful and romantic places to see this magnificent Loch. 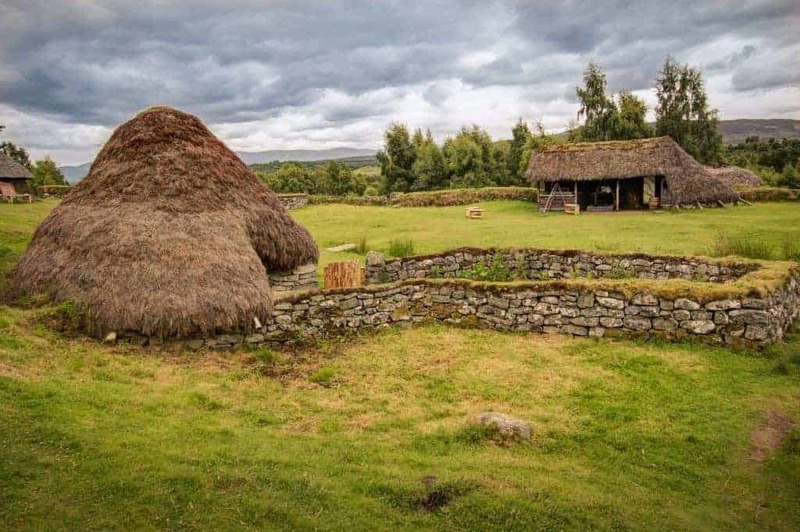 Photo below: The Highland Village where the episode ‘Rent’ was filmed. 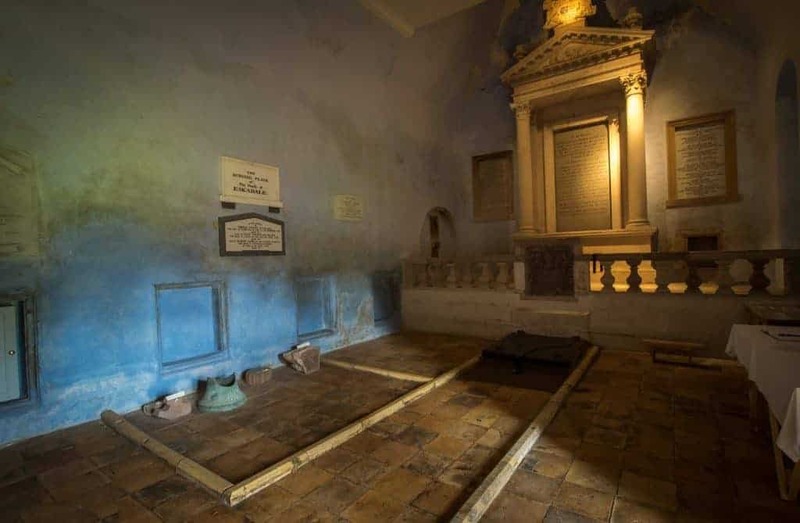 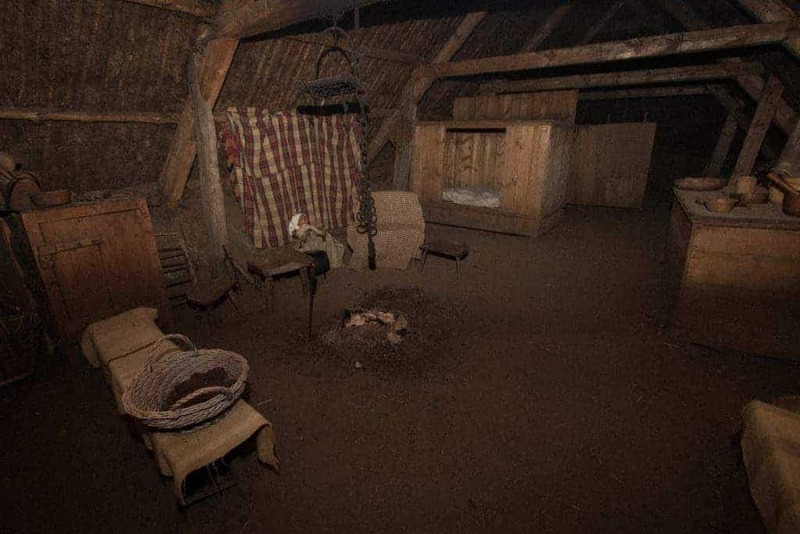 Photo below: Many scenes were filmed in this wee room. 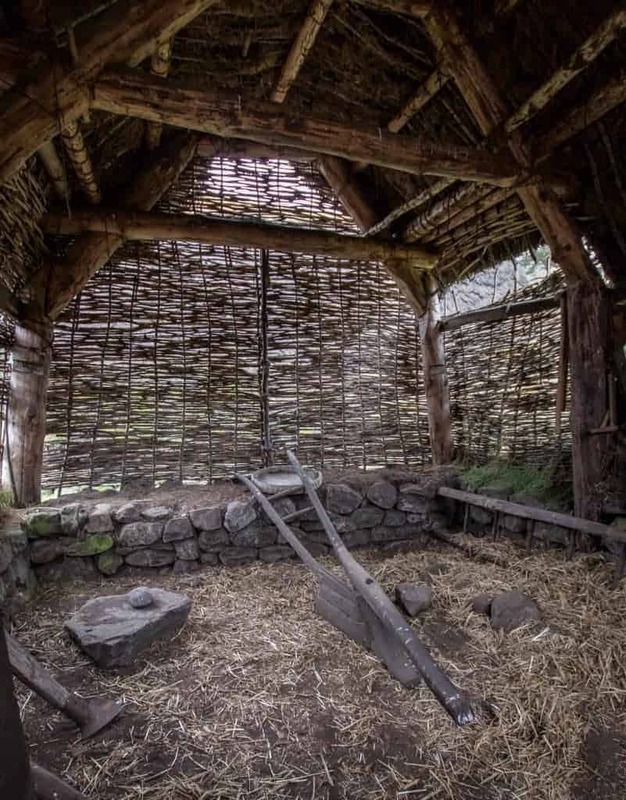 Photo below: The barn next to which the women sang the Waulking Song. 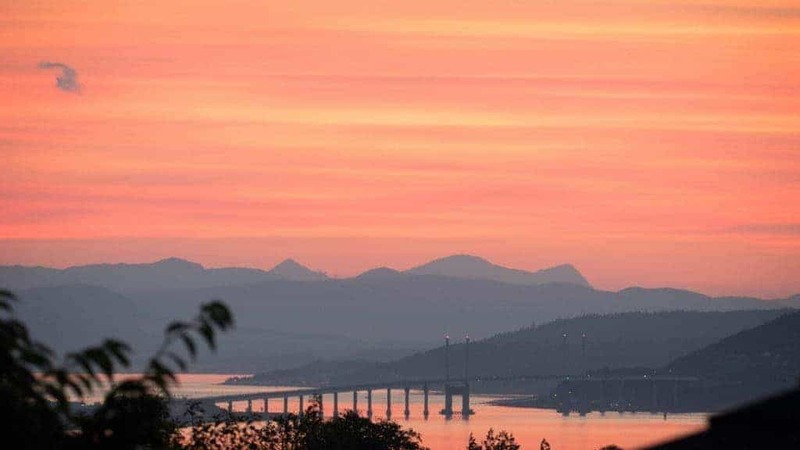 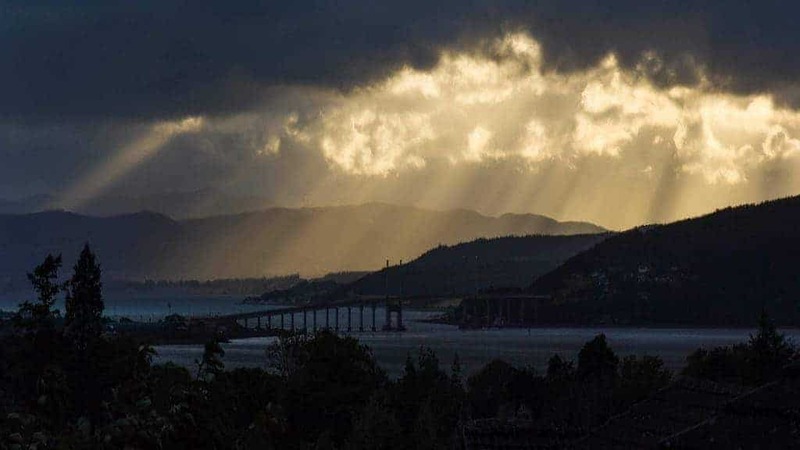 Photo below: Sunset over Inverness and the Kessock Bridge… taken from Culloden. 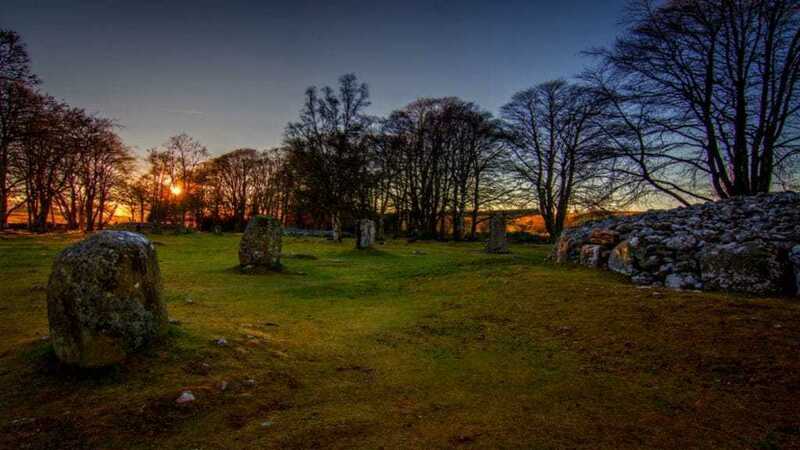 Photo below: Sunset on a different evening… the views from Culloden are magnificent. 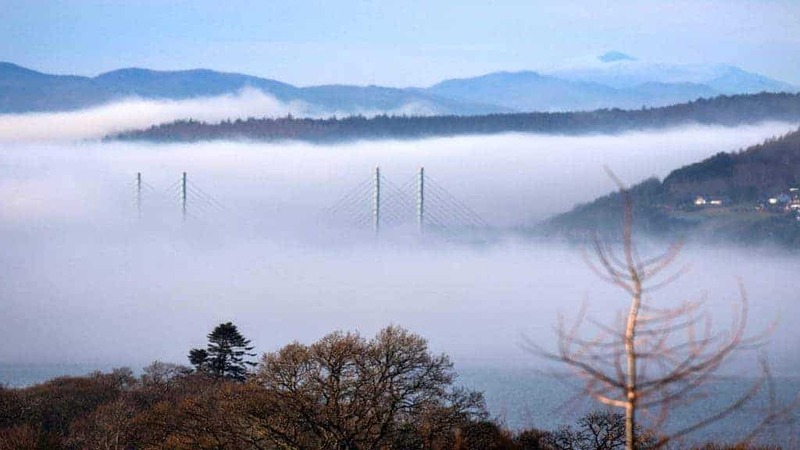 Photo below: By stark contrast, the same view over Inverness, but veiled in mist. 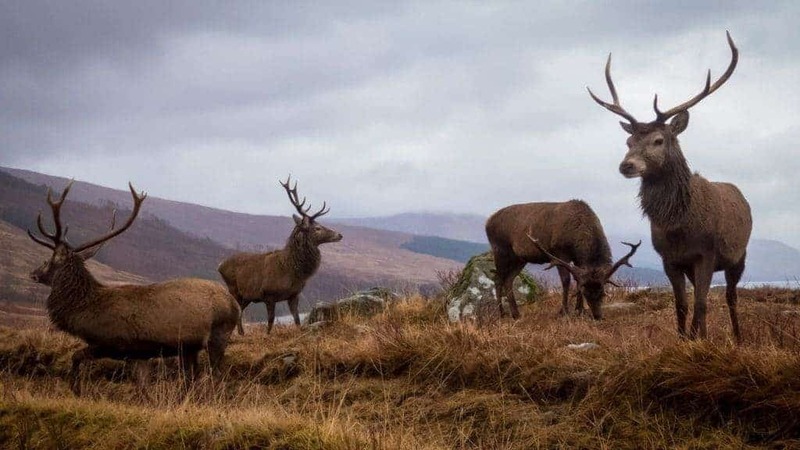 Photo below: You may well see some of these… we’ll certainly be travelling through stag country! 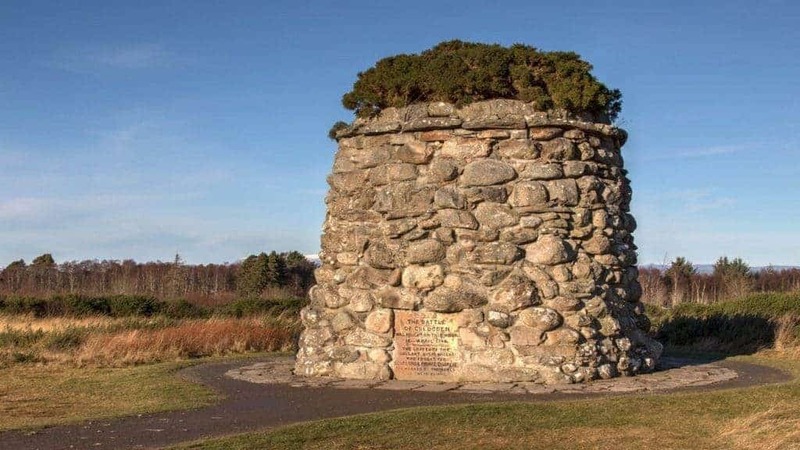 Photo below: Memorial Cairn at Culloden Battlefield. 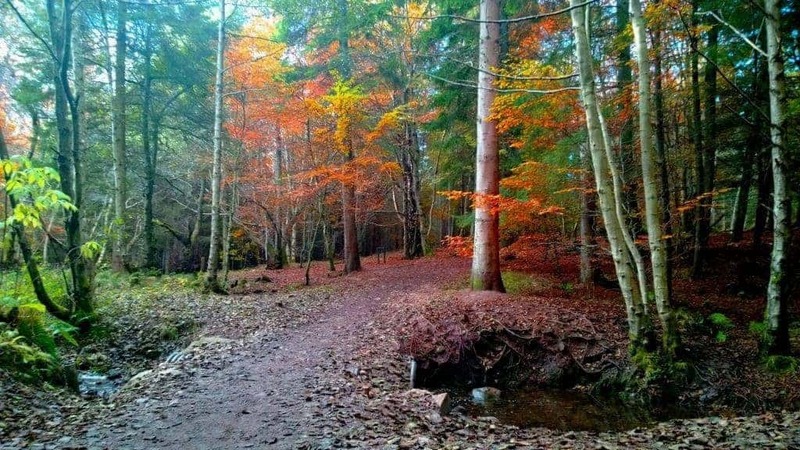 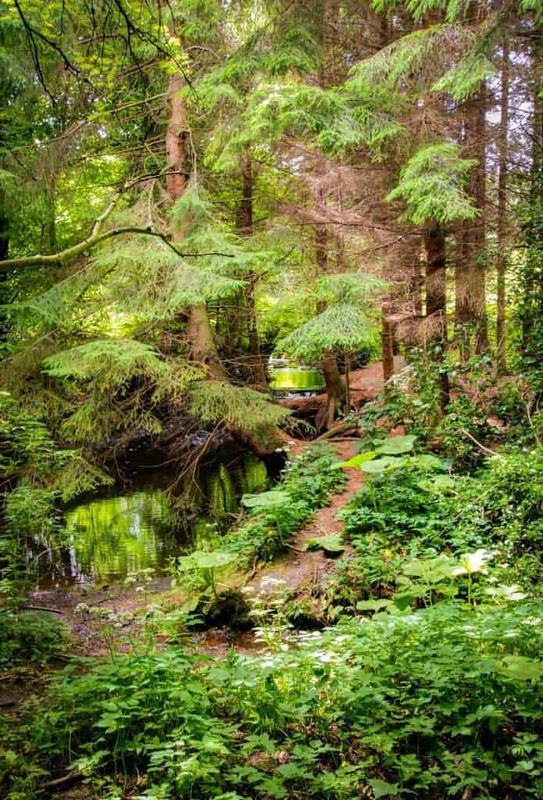 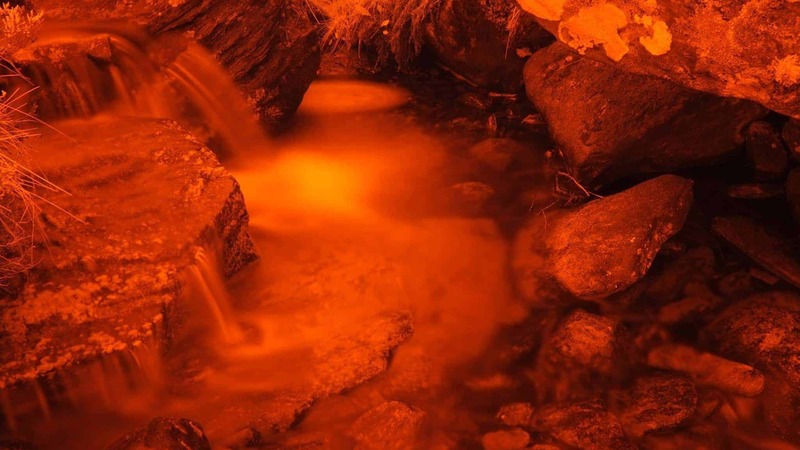 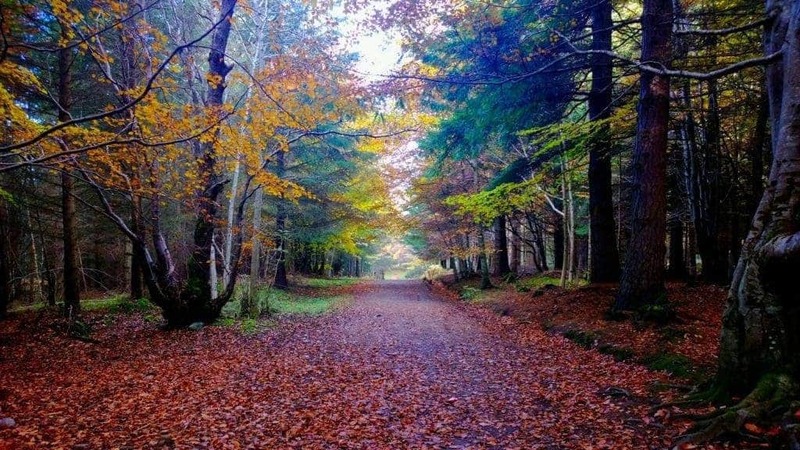 Photo below: Culloden Woods, which stands between Culloden House and Culloden Battlefield. 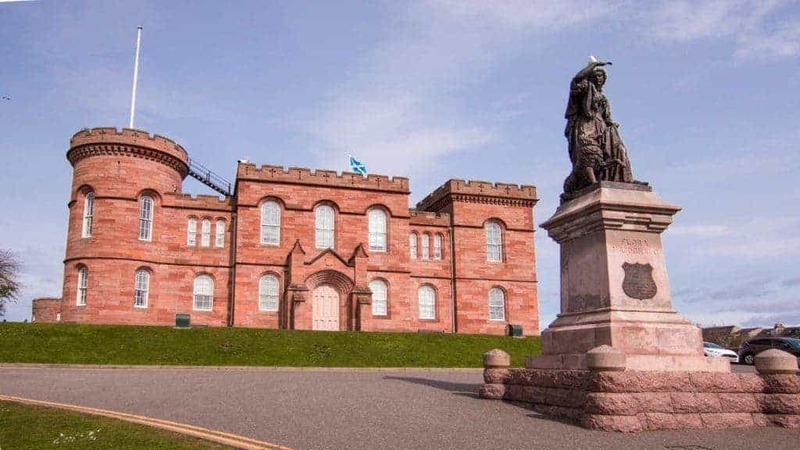 Photo below: Inverness Castle and Flora MacDonald searching for Bonnie Prince Charlie. 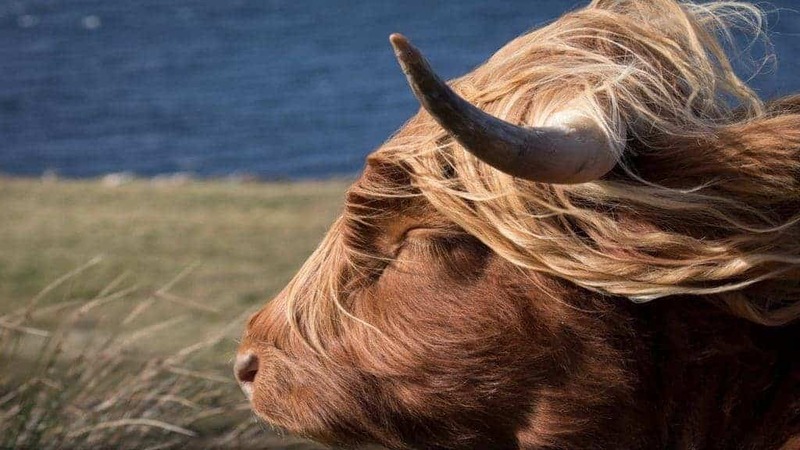 Photo below: You’re very highly likely to see a few of these… the Heilan’ Coo! 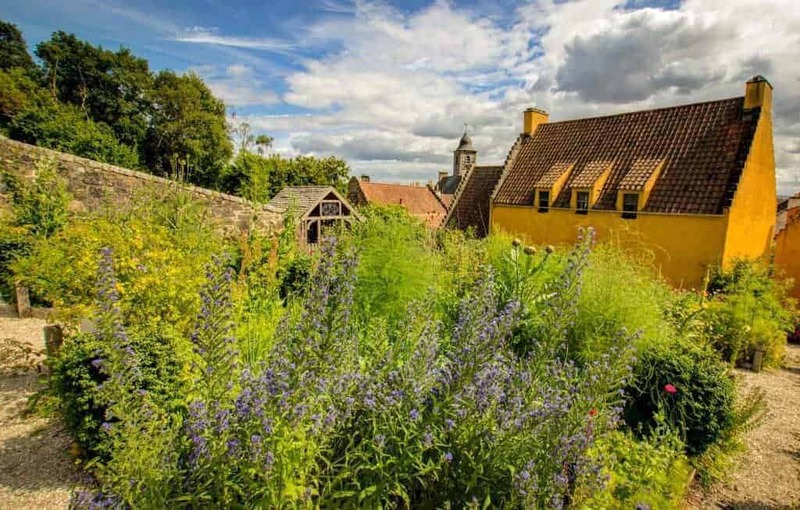 Photo below: The herb garden where Claire and Geillis gathered herbs. 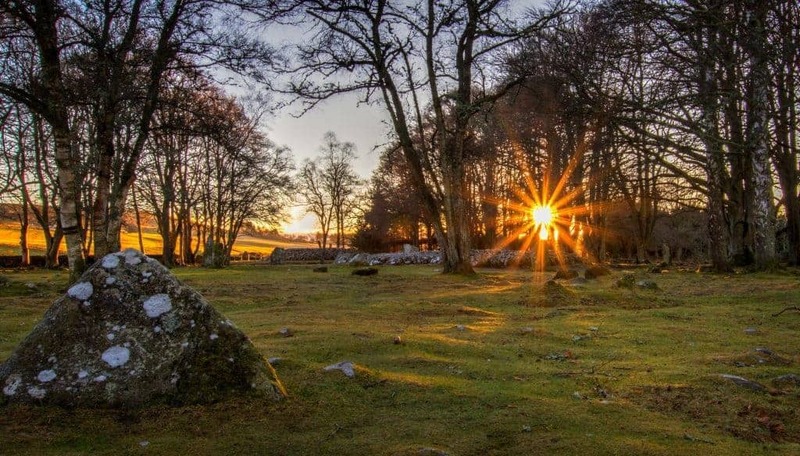 Photo below: Clava Cairns at sunset – an incredible 4000 year old burial site. 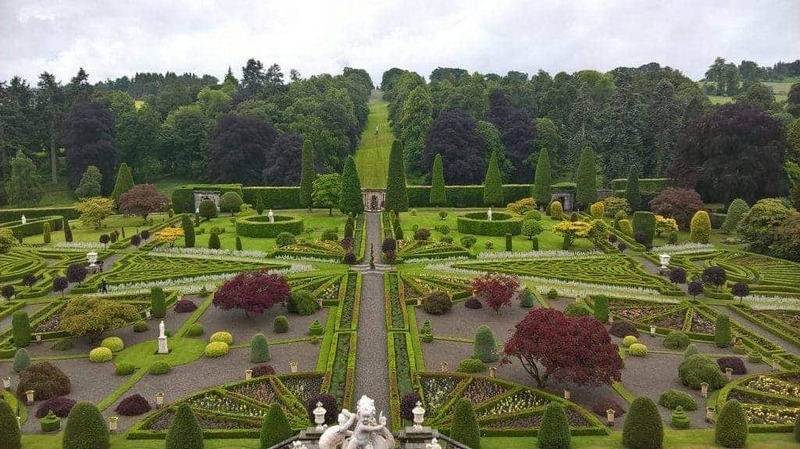 Photo below: These stunning gardens were the filming location for The Palace of Versailles. 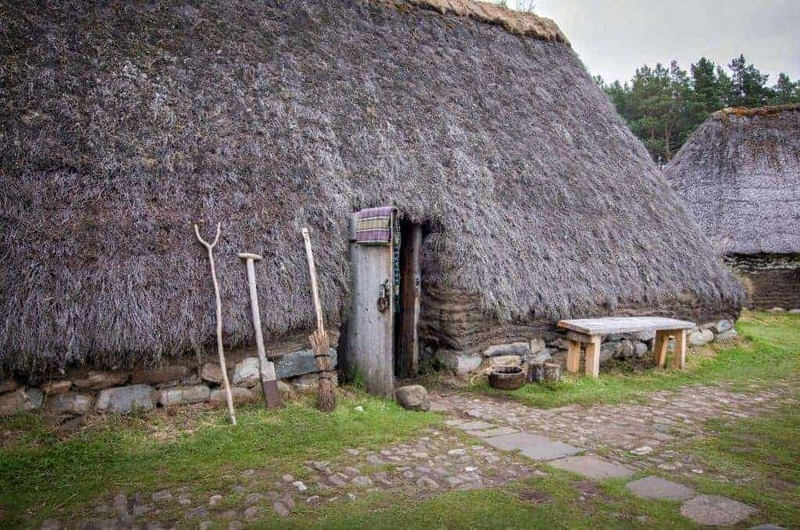 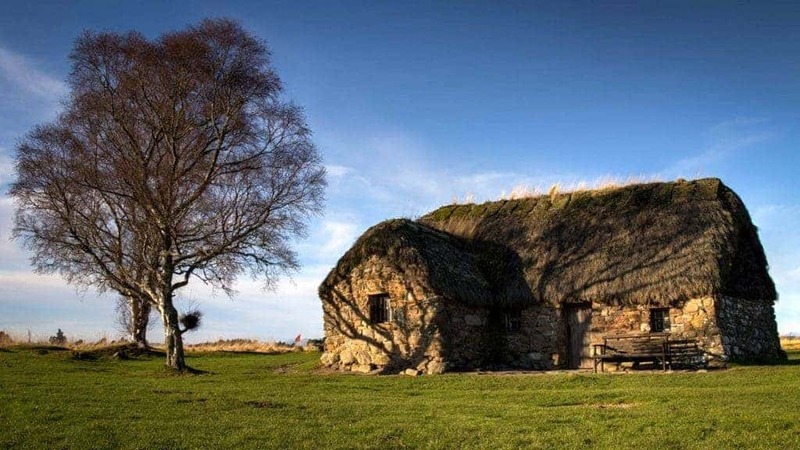 Photo below: Leanach Cottage, Culloden Battlefield, which stood here at the time of the battle in 1746. 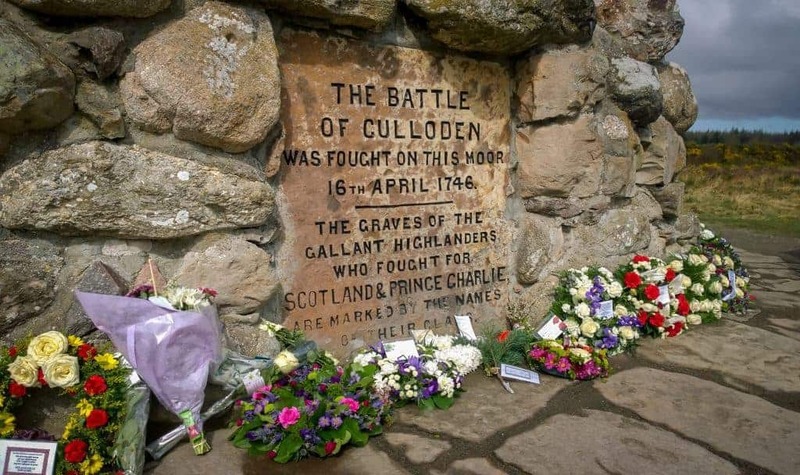 Photo below: The Clan Fraser Gravestone at Culloden Battlefield. 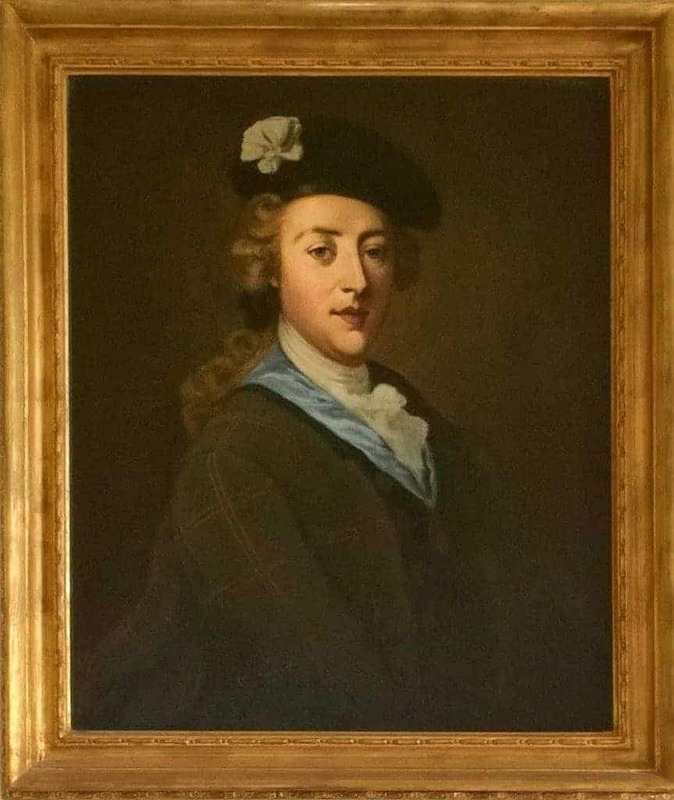 Photo below: Painting of Bonnie Prince Charlie which hangs at Culloden House, along with some of his bed linen. 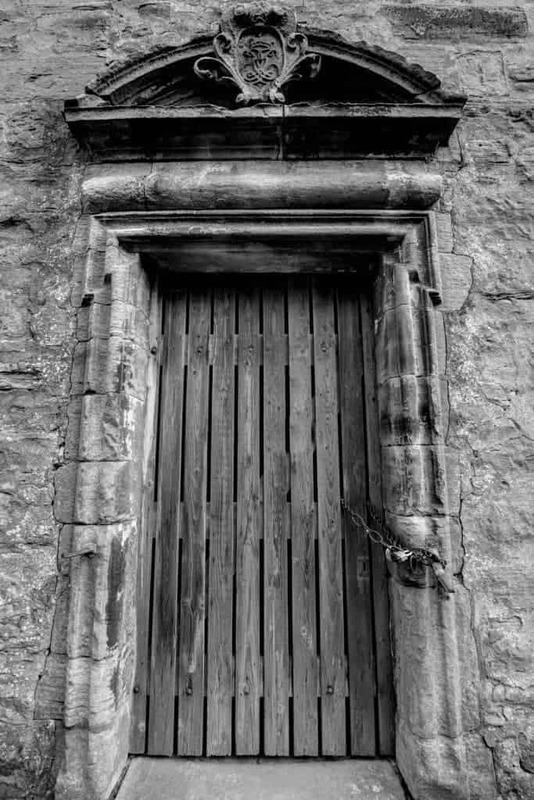 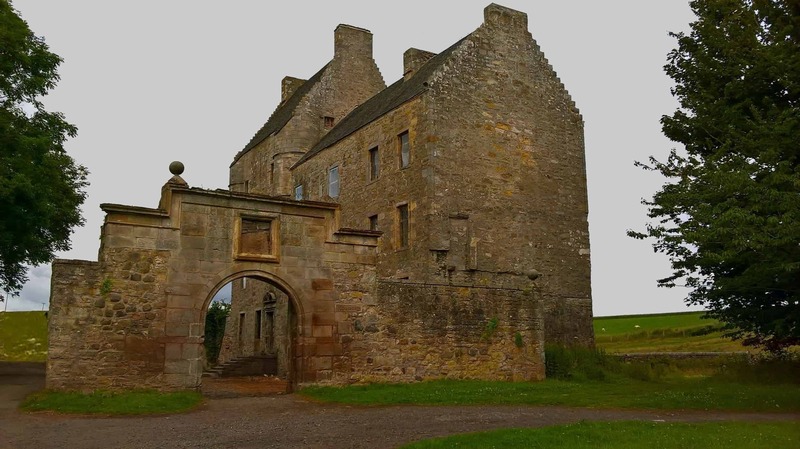 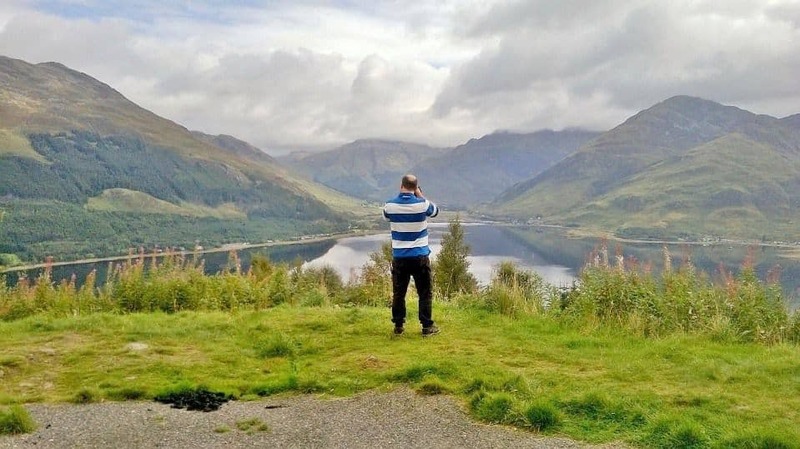 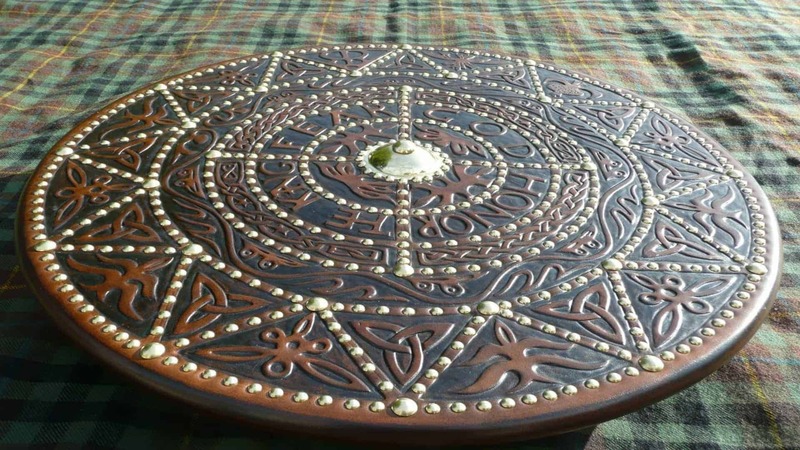 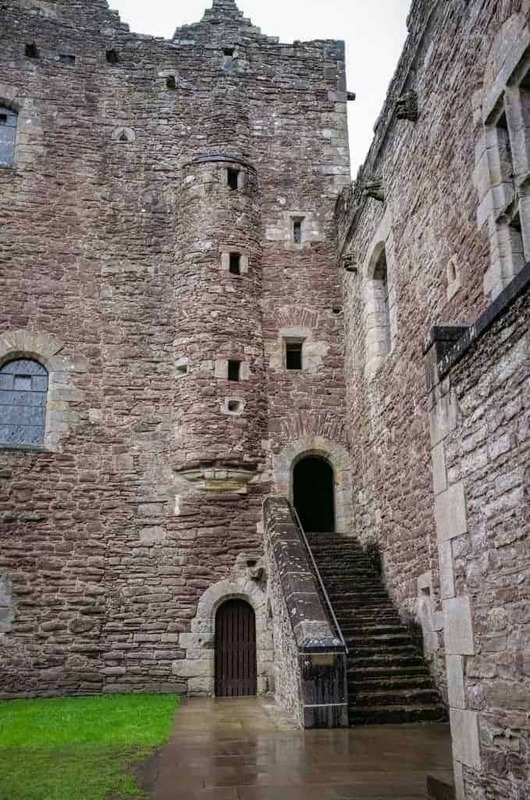 The above pictures are taken from our various Outlander Tours. 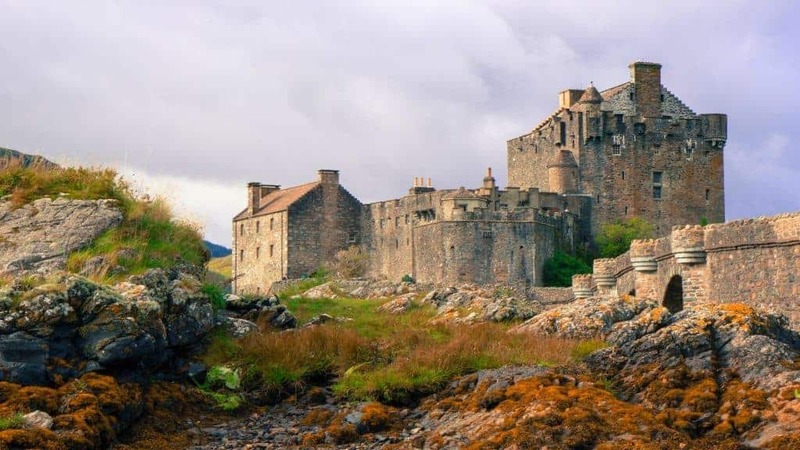 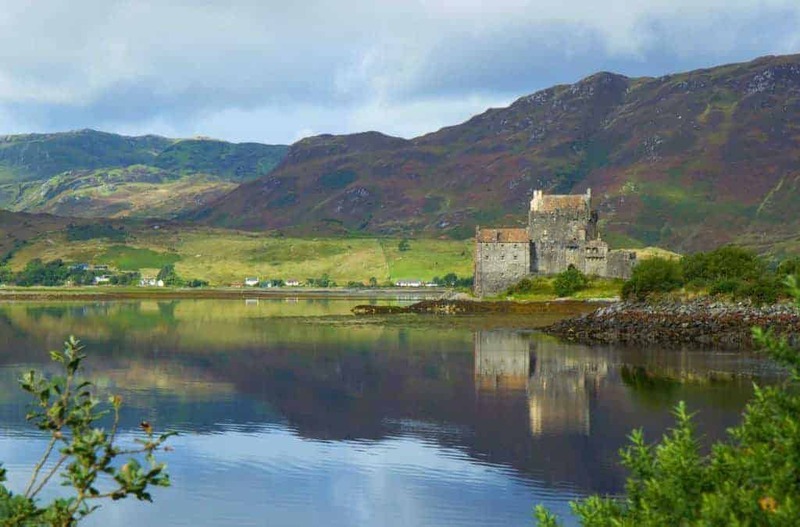 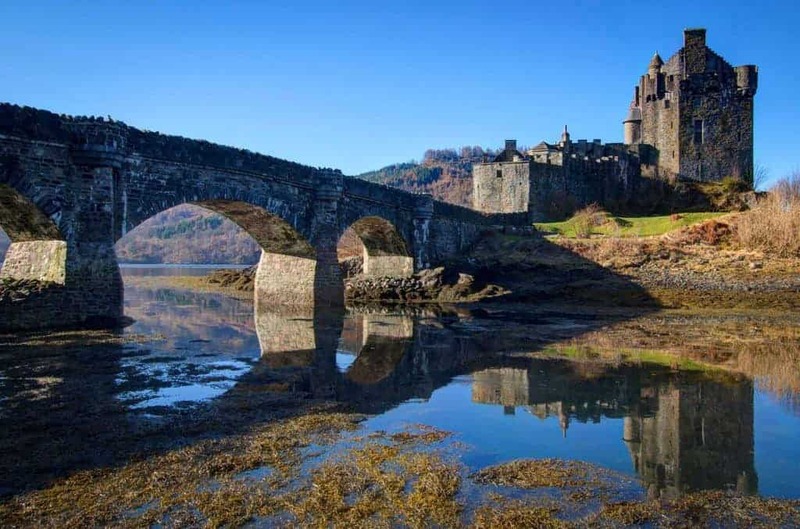 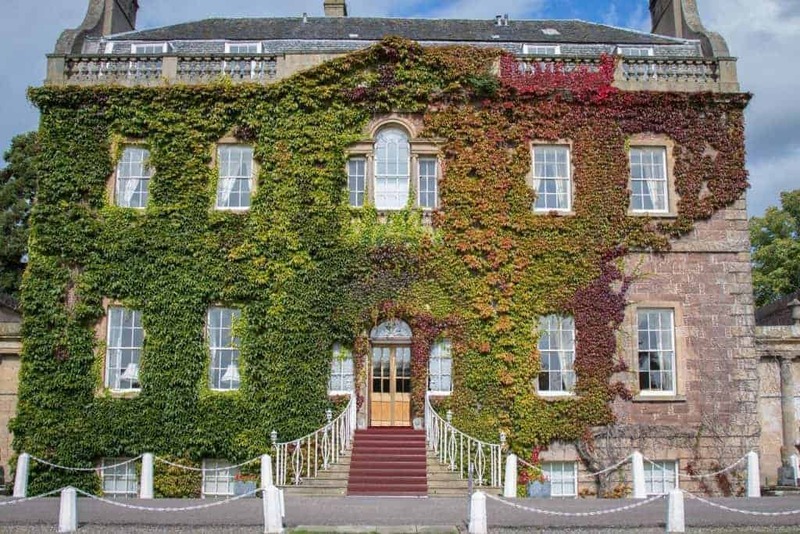 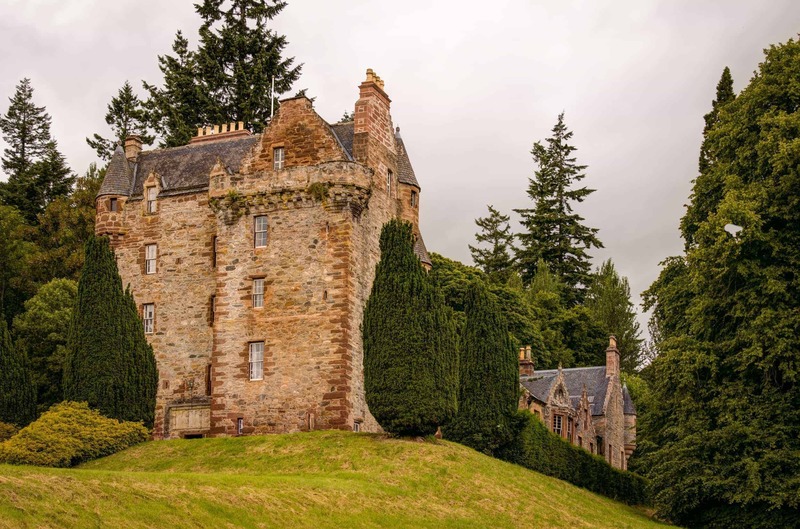 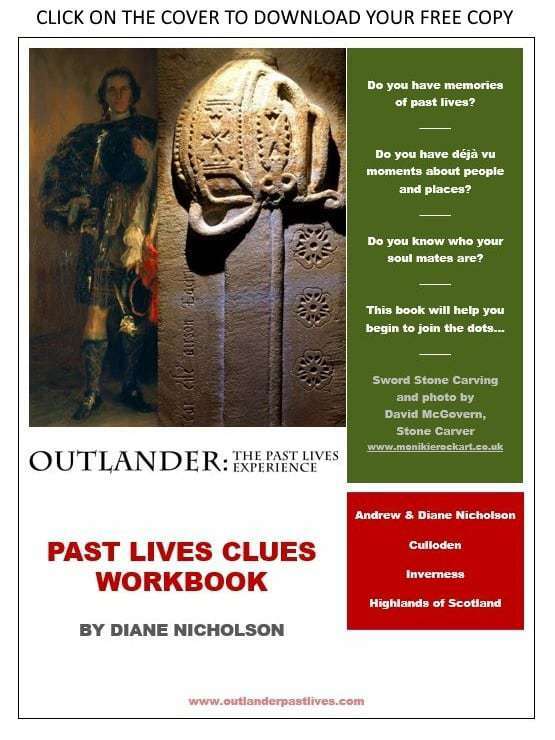 Please look at the homepage or on our menu options to view the Outlander tour options. 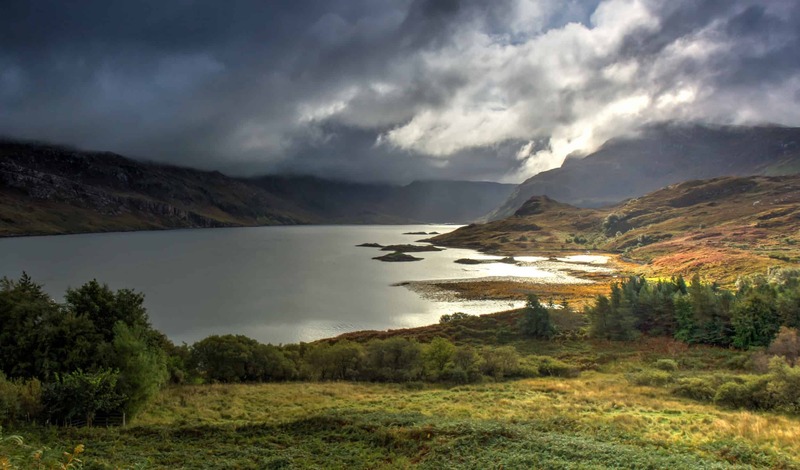 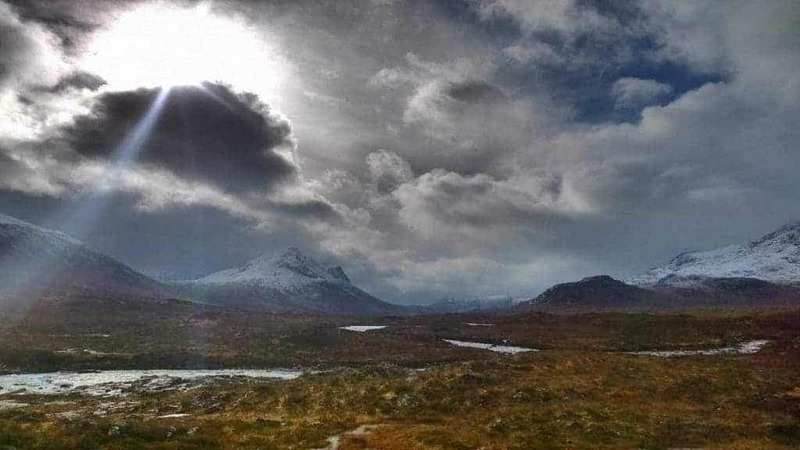 Below are a few short videos from some of our North Coast 500 and other Scottish Tours.